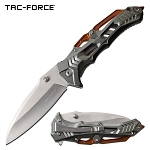 Usually all pocket knives make up good self defense weapons, but when it comes to tactical knives they are the best. 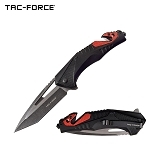 The name might have given you the idea that these knives have to do with tactics. Hence they are able to perform many functions at a single time which makes them the best. 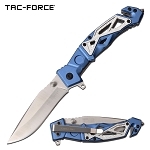 All Tactical knives are designed by experts as they are the best knives for your daily use. 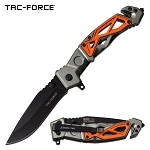 Their blades are sharp enough which help you to perform your harder tasks easily. 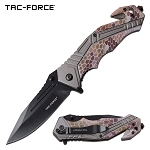 The handle grip is so cool, as the sweaty hands would also be easily handling the best tactical knife. The spring assisted tactical knives also come with an instant opening feature that allows the blade of the knife to come out very quickly giving you an upper hand in your fights. 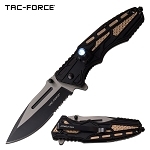 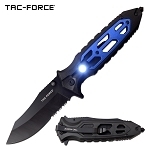 And Knife Import is here to offer you the best tactical knives for sale at cheap price. 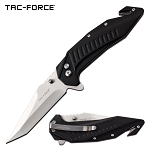 Knife Import have a wide range of tactical folding knives to choose from. Some of the top folding tactical knives in our collection are, the military tactical knives and the spring assisted tactical knives. 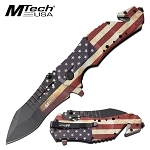 Apart from these, there are many others for you to choose from according to your need and style. 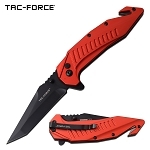 The design and the folding feature make them easy for anyone to carry these knives. You really need to have one if you are an outdoor enthusiast or a late night traveler. 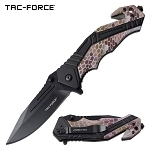 Tactical knives are something that you can’t miss to have. Doubts about the prices? You don’t need to have any doubts, all our products are of a promising quality and come in cheap wholesale prices. 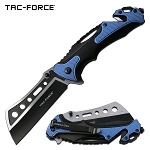 Being wholesale dealer, Knife Import masters the trade in delivering quality at a very affordable price. 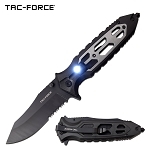 So don’t wait, order your best tactical knife in bulk to get the additional discounts and benefits.